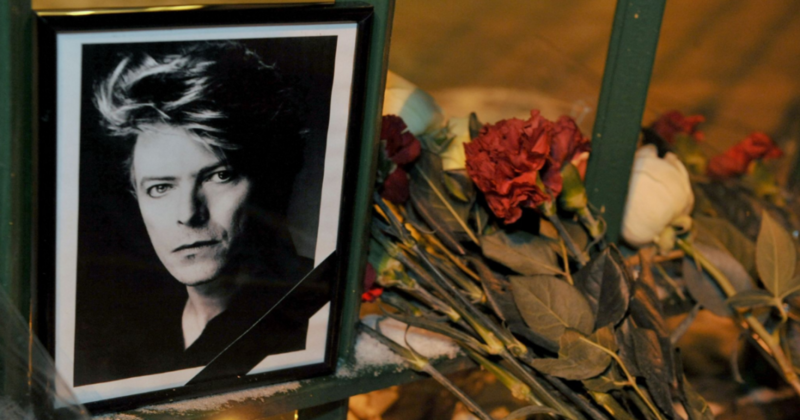 All of this is despicable business-as-usual for the group, but what is really worth reporting on is the incredible efforts by the opposition group Planting Peace to gather donations in memory of Bowie. Planting Peace has acted against the WBC in the past, painting a house across the street from the WBC headquarters a stunning array of rainbow colors, raising over $110,000 for St. Jude’s hospital in memory of Robin Williams, and holding a fictional wedding for wizards Dumbledore and Gandalf (That is where we draw the line! Everyone knows that Dumbledore was deeply in love with Gellert Grindelwald). The fundraiser is here, and so far has raised a little over $3,000 in memory of Bowie.